Tomatoes are one of my favorite vegetables. It is very easy to grow as well as enjoyable to eat. Though technically tomato is a fruit of the plant we all prefer to call this a vegetable. If you take proper care of your tomato plants, the yield can be overwhelming. Here in this article, I will show you how to grow tomato plants. The tastes of tomatoes are very sensitive to the surroundings. So rather than focusing on only one variety, it is always sensible to try 3 to 4 varieties. It will help you find out which is the best variety suitable to your locality. Keep your tomato plant to a place where the plant will get plenty of sunlight. 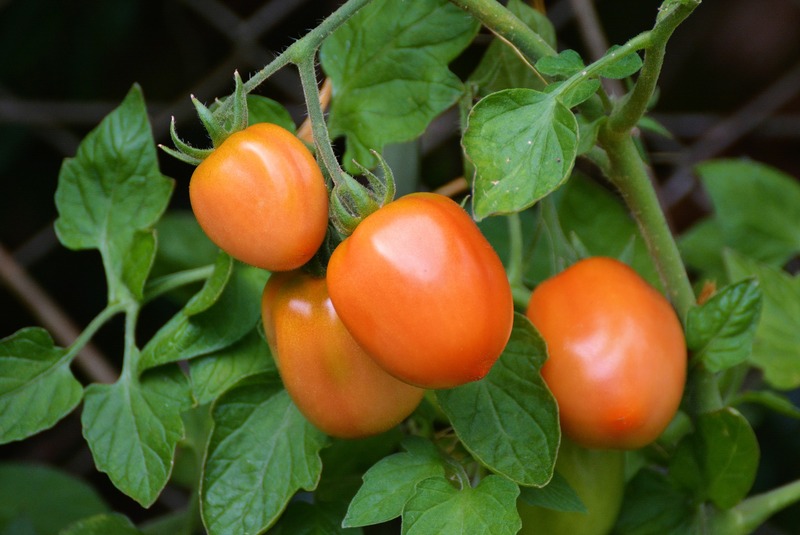 The fruit formation of a tomato plant requires at least 6 hours of direct sunlight. You can read more about the effect of sunlight on different plants in our earlier article here. Before planting the seedlings make the soil ready by tilling and mixing compost or manure with the soil. It is recommended to plant the seedlings 2ft apart. It is necessary to keep the soil fertile. Add fertilizers two weeks prior to picking and two weeks after the picking. You can grow tomatoes either from seed or from seedlings purchased from nurseries. If you are starting from seeds, it is recommended to use seedling trays. Fill these trays with potting soil and sow the seeds there. It is important to keep the trays indoor until the seeds germinate. Once they have grown up to 15- 20 cm you can transplant them outdoors. Now, another way to grow tomatoes is to start from the transplant. This process is relatively easier and the survival rate is also higher than that of the seeds. The key here is to choose a healthy and good transplant. Here are the 8 tips on how to choose a good tomato transplant. See transplantation techniques for detail. A Tomato plant needs support for its growth. You need to build a cage or stakes at the time of planting. Staking keeps fruits off the ground whereas a tomato cage helps the plant to hold its upright position. Tomatoes require plenty of water, especially during the summers. But while watering a tomato plant do not wet the leaves or the stem of the plant. Always put water directly into the soil near the roots (see the watering guide for details). Take out any shoot that grows between the stem and main branches, these shoots always hinder the fruit growth. In gardening, this process is called pruning of plants. With the same logic cut off the tip of the plant, It will help the plant to become more bushy with much more fruits. Tomatoes are particularly susceptible to many pests and diseases. Horn-worms, Aphids, whiteflies are few of the tomato pests which can reduce the production of the plant. Late blight (especially during monsoon) and distorted leaves are the common diseases to the plant. It is always wise to plant basil along with your tomato plant. Basil is a fantastic companion plant for tomatoes. It will help in distracting little pests from your tomato plant. This type of planting is called companion planting. Never pick tomatoes in the green condition they will rot before get ripe. Leave them on the vine as long as possible. Never try to refrigerate ripe tomatoes. It will spoil the texture and taste of the perfectly ripe homegrown tomato. Tomatoes are eaten best sun-warm from the kitchen garden. I hope these simple tomato growing tips helped you in growing tomatoes. Do these simple steps and you can enjoy your homegrown favorite vegetable and also find the distinctive flavor and taste which are definitely missing when you buy those from the stores. Thanks for reading. Keep your comments coming. Trying using Epson salt around the soil of the tomatoes. The Epson salt neutralizes the soil, and makes the tomatoes more sweeter. "Growing vegetables successfully with your children" on Amazon-Kindle. Its free on Kindle-Prime. I like tomatoes that taste more acid – like Rutgers. How do you make tomatoes taste more acid??? hi, what is a good time to start these plants in the delhi weather. Tx. Not sure where you are growing, but this is very poor advice for growing tomatoes in Florida. This much direct sunlight will burn the plants and produce dead plants. In my experience, anything more than about 4ish hours of direct sunlight produces suboptimal results. At that point though, you can grow all year long here.